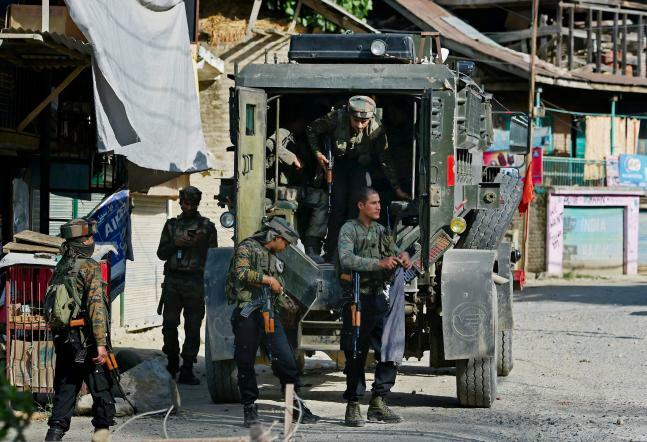 In yet another militant attack within three weeks, terrorists on Friday ambushed a police party in the outskirts of Anantnag district of South Kashmir and killed six policemen, including a Station House Officer of Achabal area. In a barbaric act, the terrorists shot at the policemen with their assault rifles after overpowering them. The policemen who retaliated bravely, however, could not break the trap laid by the terrorists. The terrorists first overpowered them, then fatally shot them in their faces from close range and escaped with their weapons. 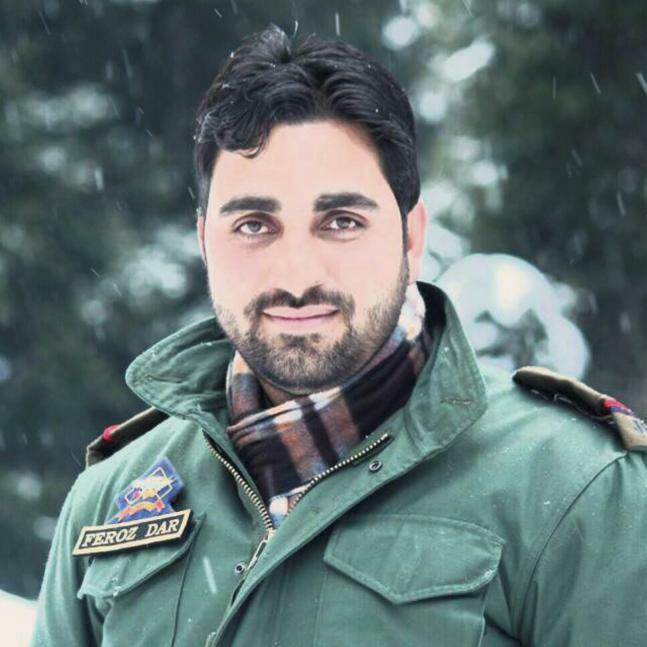 The incident took place this evening when Feroz Ahmed, a 2010 batch Sub-Inspector, was on his way to the police station at Achabal after completing his duty in Anantnag. The militants had laid an ambush on Anantnag-Achabal road near Kulgad village and fired at the police party. The police were not travelling in a bullet proof vehicle.All the six policemen including Ahmed died on the spot, senior police officials said. 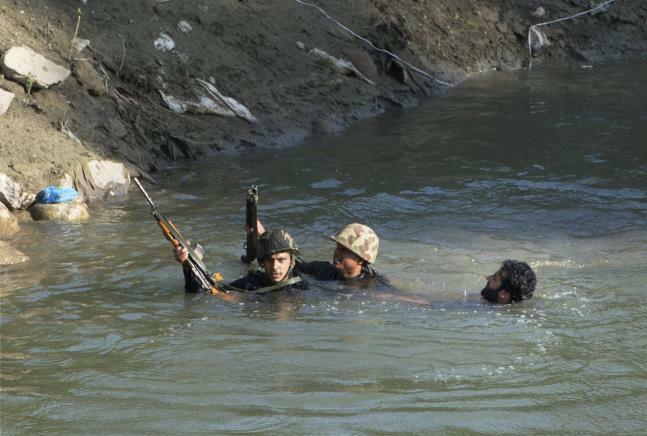 Army has been called out to undertake a combing operation in the area. “It is an unfortunate incident to have lost six men including Sub Inspector Feroz, a resident of Pulwama. Their contribution to the police service will be remembered,” Director General of Police S P Vaid told PTI. 32-year-old Ahmed, a resident of Dogripura in Awantipora, was a father of two daughters aged six and two. A pall of gloom descended on Anantnag police station when Ahmed’s wife and aged parents came to receive his body. He was quite popular in South Kashmir police division and had recently organised an Iftar party. The other deceased officers include constables Sharik Ahmad and Tanveer Ahmad (Budgam district), Sheraz Ahmad (Achabal), Asif Ahmad and Sabzar Ahmed (Anantnag). 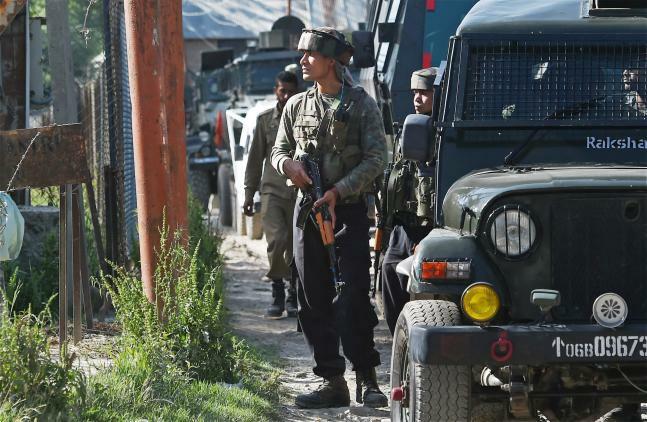 Pakistan-based Lashker-e-Taiba has claimed responsibility for the attack, police said, adding it seems they wanted to take revenge of the Arwani encounter in which their local commander Junaid Mattoo is believed to have died. Arwani encounter site is located 20 kms from the place where the ambush took place.The encounter at Arwani in Bijbehara area broke out this morning and all the three militants are believed to be dead. No bodies have been recovered so far. This is the second major attack on a police party. Earlier on May 28, militants attacked a police party at Phambai area of Kulgam in South Kashmir, killing five policemen and two bank guards. The incident saw an immediate reaction from political parties including former Jammu and Kashmir chief minister Omar Abdullah who blamed the PDP-BJP government led by Mehbooba Mufti for the present crisis. “It seems that South Kashmir is slipping everyday from the hands of the state government. I hope somebody in New Delhi wakes up now,” Omar said. CPM leader Mohammed Yusuf Tarigami said the incidents in South Kashmir were a clear example of lawlessness prevailing in the entire area. State Congress chief G A Mir said it was a very sad incident.